On this episode of The Ask Prof Noakes Podcast we look at how the carb ratio on the LCHF Diet could be altered for athletes doing shorter distances than endurance races, like cross country. Prof. Tim Noakes takes us through running distances and how to best use carbs. 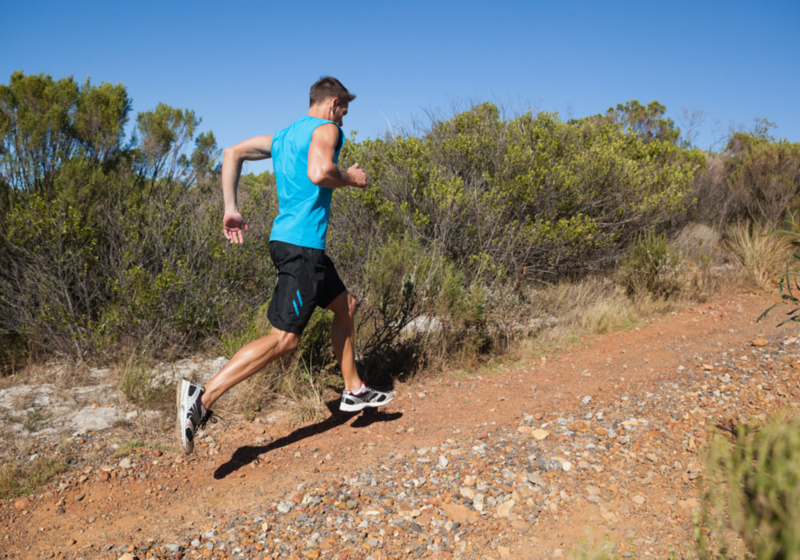 We have spoken at length about endurance athletes on the Banting or LCHF diet and how they can follow the LCHF or Banting Diet to improve their running performance. We talked about running, cycling and triathlon, particularly the long stuff on the Banting Diet. David is an athletics coach. He specifically coaches cross country 5 kilometres, 10 kilometres as well as 1500m and 800m. He is interested in learning how the carb ratio on the LCHF or Banting diet would change for athletes doing those sorts of distances as opposed to the longer more endurance based stuff. He personally has always been a larger guy who would run about 90 minutes a day to maintain a decent body weight, however, how does the principles of the LCHF or Banting diet apply for athletes who are running 15 minutes for 5 kilometres or faster? Prof Tim Noakes: Okay, let us just start with David’s issues. If he has to run 90 minutes a day to control his weight, then his diet is wrong and he is eating too much carbohydrates. He is obviously insulin resistant, like I am, and you know I always tell people I am the same weight that I was when I was running the Comrades Marathon in the 1980’s but then I was running 120 to 160 kilometres a week. Now I am running 30 kilometres a week and my weight is exactly the same. Why is this? It is because I was insulin resistant in the 1980s, as I am now. Eating all that carbohydrates, I just either turned it to fat or I had to burn it. I could only burn it with my particular metabolic profile, if I ran 120 to 160 kilometres a week and then I could control my weight but I was never the perfect weight I wanted to be. Now, because I am just not eating any carbs, I am a perfect weight regardless of how much exercise I do. So, David needs to incorporate that into his own thinking. You do not have to run 90 minutes a day to control your weight. If you do, it is because you are eating too much carbs. Now to get back to his athletes, my view and there is no science for this, is that the world’s best athletes are probably incredibly insulin sensitive. They can burn huge amounts of carbohydrates, both during exercise and during the day and they probably have to eat a high carbohydrate diet to set world records in any distance up to the marathon. Once you go beyond the marathon, then I think it becomes different. So, for his athletes, if they are carbohydrate tolerant and they are really fast, they should not be eating too much fat, they need to eat the carbohydrates because that will allow them to perform optimally. However, if they are slightly insulin resistant and they eat a lot of carbs, they will put on weight and I think they will become slower as a consequence of that. So that would be the way I would look at the athletes. I would judge them on how insulin resistant I thought they were and if they were, the guy or the girl that is a little bit chubby, I would think maybe I can reduce their carbs a little bit. I am not convinced that high school athletes running, doing the training that he is giving them, need more than 200 grams of carbs a day. He can certainly experiment by cutting down their carbs progressively. Let us say that they are at 400 grams a day at the moment, why do you not cut it to 300 and see what happens? If nothing happens, in other words, they do not get worse, well then you are moving in the right direction because it will be healthier for them to eat 300 rather than 400 grams carbs a day. Then you cut to 200 grams and then see what happens and then some of the athletes are going to perform poorly on that 200 grams a day, so you know you cannot cut to 200 grams. Others might continue to stay either as good as they were or, in fact, improve and then you find the lowest value at which they perform optimally and that is the way I would do it. In other words, I would experiment with the children who want to be experimented with and just cut their carbs progressively down to 200 grams, see what happens and then go lower. In my opinion, a young child who is very athletic, eating 200 grams carbs a day, will not damage their long term health.